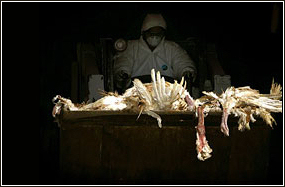 Avian flu (also referred to as avian influenza or bird flu) is an infection in birds that can be caused by a number of different viruses. 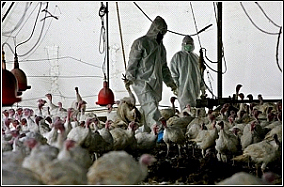 The H5N1 virus, the one responsible for the well-known outbreaks in the last few years, is highly contagious among birds and can be deadly for them. 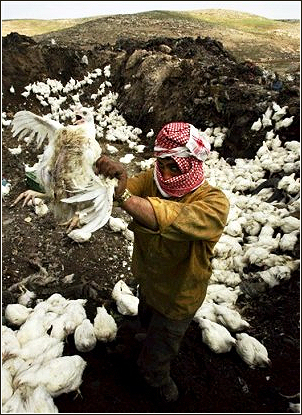 The H5N1 virus does not usually infect people, but infections have occurred in humans and can be fatal. 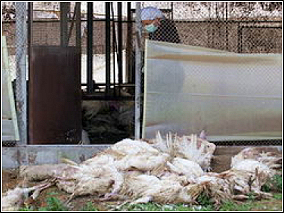 Most of these cases have resulted from people having direct or close contact with H5N1-infected poultry, or with surfaces contaminated by secretions from infected poultry. So far, the spread of the virus from person to person has been very limited. However, because all influenza viruses have the ability to change, scientists are concerned that the H5N1 virus could evolve into a virus that can be transmitted easily between people, potentially triggering a global pandemic. 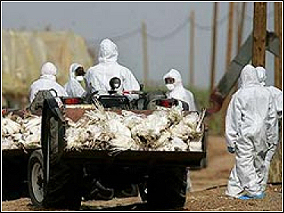 In March 2006, avian flu reached Israel. 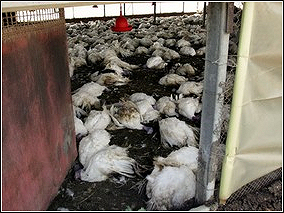 Because of the crowded conditions in which poultry are confined, the virus quickly spread among the chickens, turkeys, geese, and ducks on numerous farms. 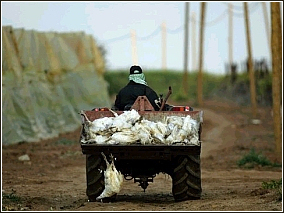 To contain the disease, in nine days the government destroyed 1.2 million birds on 53 different farms in 14 communities throughout Israel. Only a small percentage of these birds were actually infected. The primary method used was poisoning the birds' drinking water, which killed them (painfully) within a few hours, and then burying them in mass graves. In some locations, the birds were simply buried alive.